So each of us were given something to bring according to what we want. 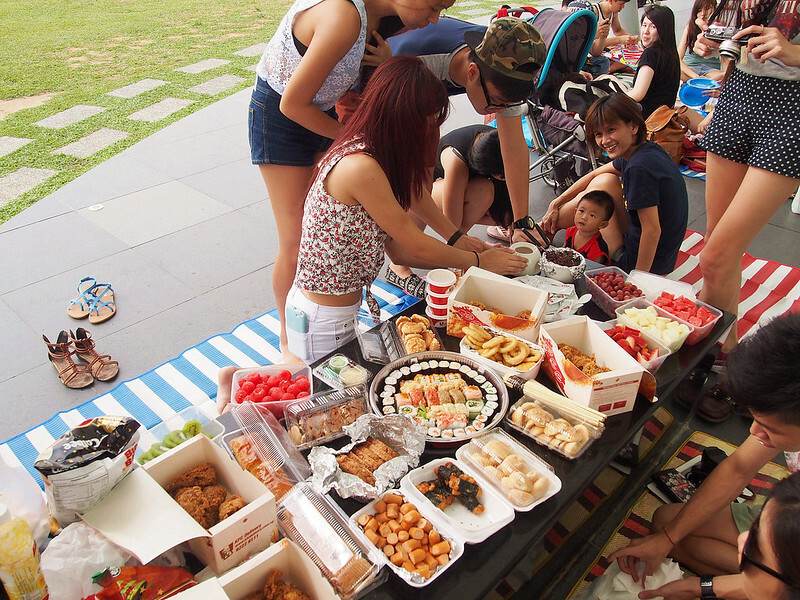 I didn't know what to bring, so therefore I decided to chip in with JingLong to buy KFC for the picnic. 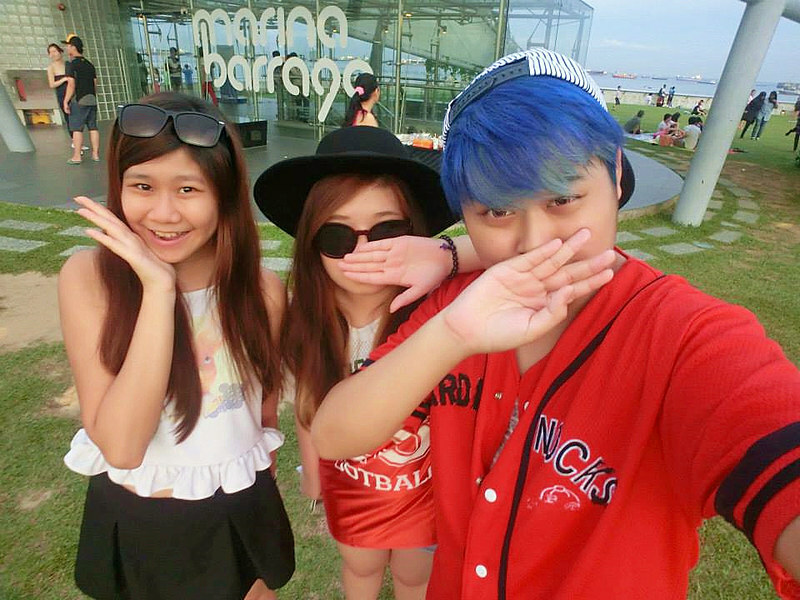 Reached Marina Barrage, and there were tons of food over there! 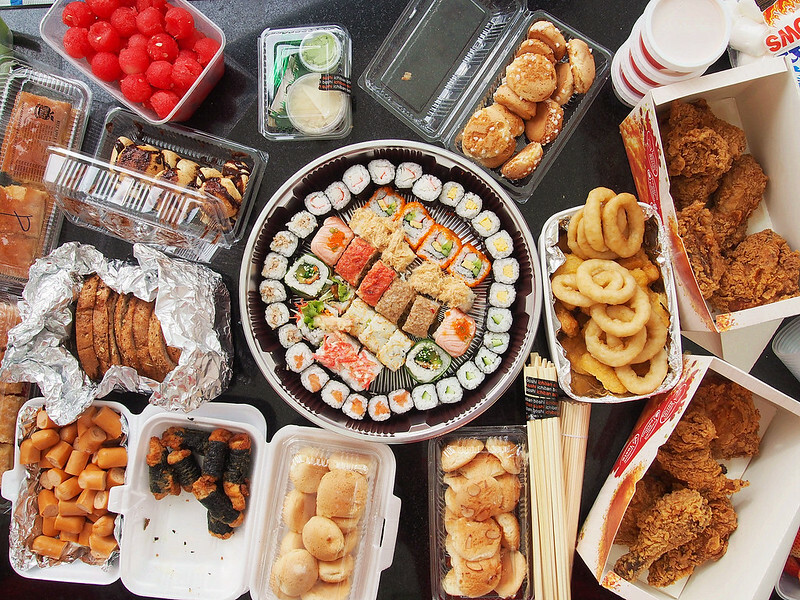 KFC, Fondue, Sausage, Seaweed Chicken, Chewy Junior, Potato Chips, Fruits and many more!!! Gosh!!! Every year they will have a lot of food without fail one!!! Hahaha!!! 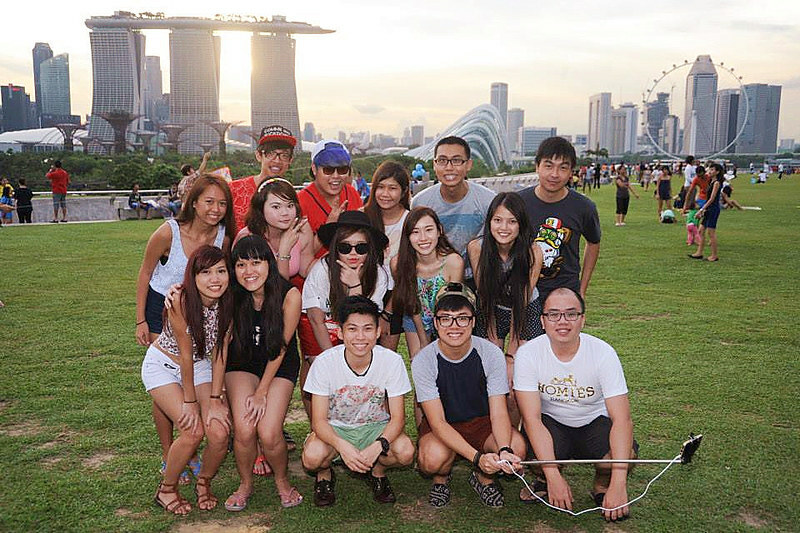 Actually, we didn't do a lot over at barrage, just chat and took photos only. I guess when we're older, we tend to do what old people like to do. Sit down and just chill. Hahaha! We had a really long day. 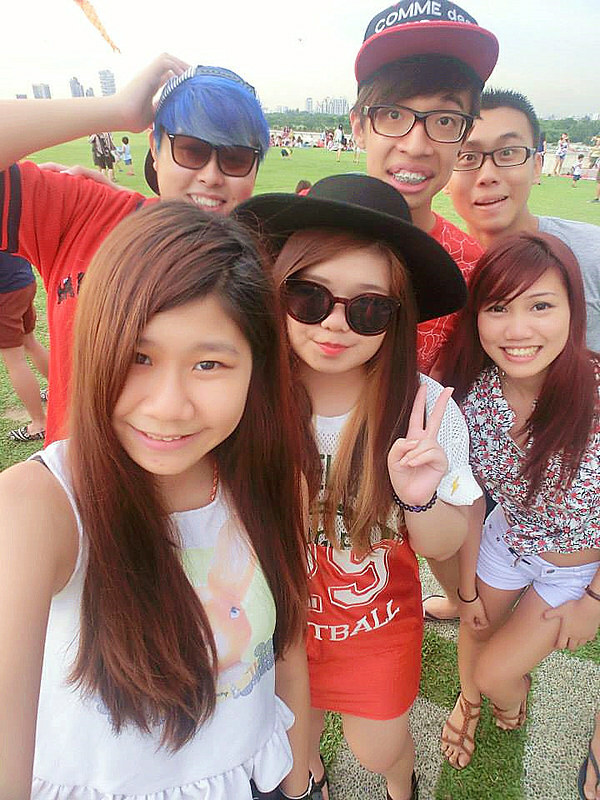 Picnic in the afternoon, then dessert over at Bugis, and Fishing at Punggol area which I don't know where it is laaaa! Thank god we have Jiaqi, Kaizhi and Meldric who drives, cuz without them, it's abit inconvenient to get anywhere. Hahaha! Now this is quite a short post. Ending with a group selfie! Kudos to Andy's selfie stick! Hahaha!